Chuck is a former Vietnam Era Air Navigator with degrees in History & Economics. Areas of intrest include aviation & military history. Wine making essentially involves the mixing of fruit juice and sugar and then adding yeast to convert the sugar to alcohol. While wine is generally made from grapes, other juices can be used as the base. The reason grapes are the usual fruit of choice is because of their high sugar content. Alcohol is the by product of the action of yeast on sugar. When using the juices of other fruits sugar generally has to be added as the fruit generally does not contain sufficient natural sugar for full fermentation. 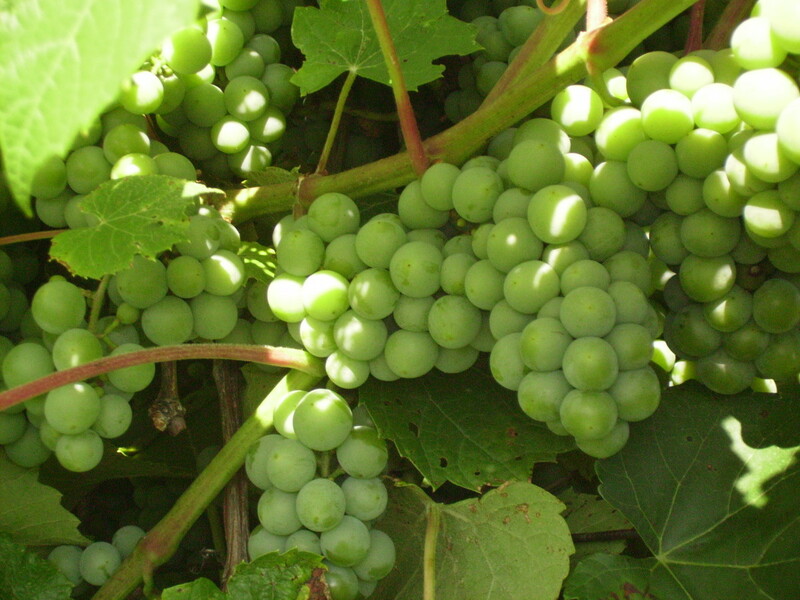 Grapes contain enough natural sugars to allow full fermentation. The skins of fresh grapes also have a natural yeast growing on them which is probably why grape wine is one of the oldest and most common fermented beverage. Cranberries have always been a favorite treat in my family and, as my sisters and brothers and I grew up and learned to cook, cranberries were one of the foods we experimented with. Among my favorite cranberry recipes is this simple recipe and process for making cranberry wine. Years ago when my younger brother and I began experimenting with making wine we found that cranberry wine was the best in terms of ease of production, taste and clarity. Grape wine, using frozen grape juice, was just as easy but it tended to retain a yeasty taste as well as being somewhat cloudy. In both cases we used juices from the grocery store rather than the crushing of berries for juice. Clean and sterilize the glass jug by washing it, by hand, with warm, soapy water and then rinsing it thoroughly as you don't want your wine to leave a soapy taste in your drinker's mouths. While the simple, but thorough, washing above should be sufficient as an extra precaution you can run the jug and other utensils (other than the plastic tubing) used make the wine through the dishwasher where the heat will sterilize them. It is very important to make sure that the jug and all utensils used in the making of the wine are sterile so as to prevent bacteria from contaminating and spoiling your wine. Running them through the dishwasher will help accomplish this. If using frozen cranberry juice concentrate, thaw and mix with water per directions on the can in a clean container that has recently been washed in dishwasher. You can use either tap water to mix the juice or distilled water (if you use distilled water you will avoid picking up any taste that the tap water might contain). Dissolve a tablespoon of sugar and the yeast in the ¾ cup of warm water. Add sugar to the juice and stir until thoroughly dissolved. If you use regular bottled cranberry juice, rather than concentrate, pour juice into a clean container, add the sugar and stir until the sugar is thoroughly dissolved. Cover the container with the warm water and sugar mixture to prevent any airborne bacteria from contaminating the mixture and set the container aside for a couple of hours to allow the fermentation process to get started. 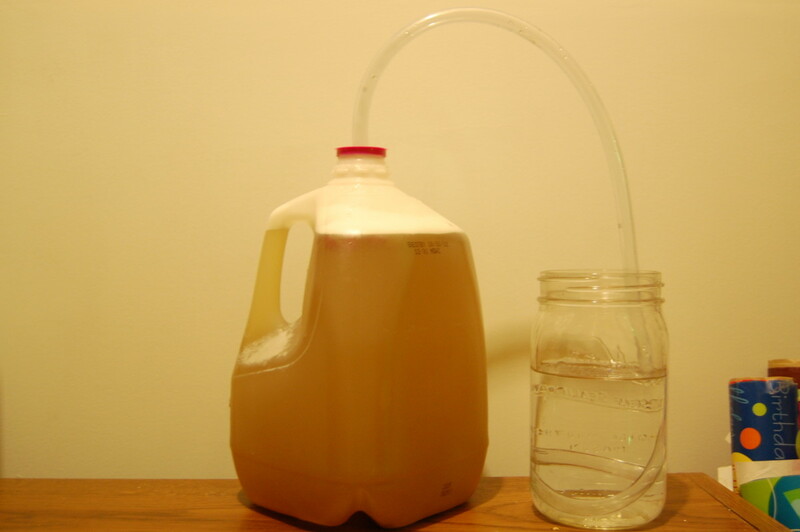 Pour juice, with sugar dissolved in it, into jug using funnel to avoid spilling. Add the warm water and yeast mixture to the juice in the jug. Insert rubber stopper into top of jug. Attach plastic tubing securely over end of glass tube. Place jug on a shelf in a warm (about 70 degrees Fahrenheit or 21.1 degrees Celsius) shelf in basement. Place container of water next to jug and place end of plastic tube in water. Make sure water level remains sufficient to keep end of tube under water. The tube will allow carbon dioxide gas, a by product of the fermentation process, to escape into the water which will prevent air contaminated with bacteria from entering the jug with the wine. 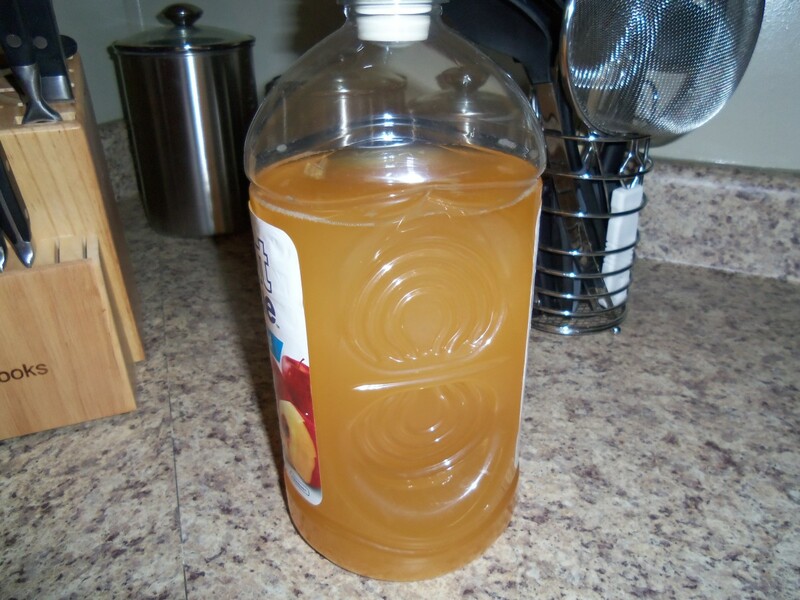 After about a month you will notice that air bubbles are no longer entering the container of water from the wine jug and the juice becoming clear. There will be sediment on the bottom of the jug. Remove the stopper and siphon juice into a second sterilized jug. Be careful not to disturb or transfer the sediment. The sediment can be poured down the drain while the jug with the wine should be securely capped with a screw-on cap or cork stopper. Store in a cool place, a basement with a fairly constant temperature of about 70 degrees Fahrenheit or 21 degrees Celsius. Six to twelve months of storage will be needed while your wine ages. Allow at least six months for your wine to age. Ideally, your wine should be sufficiently aged and ready to drink within twelve months maximum. So long as the wine has been capped tightly and not exposed to outside air, it should be good for at least two to three years. While the quality of the wine will improve with age up to about 12 months it will be at its peak and won't continue to improve after about 12 months. If stored more than two or three years it might spoil (however, I have never kept it this long so I am speculating at this point). The wine can be chilled in a refrigerator before serving (and must be refrigerated after opening to prevent spoiling). For me, this process has always resulted in a nice clear, but slightly tart wine with the taste of cranberry. If you prefer a sweeter wine, you can add sugar to taste after opening. Can segments of three medium oranges be added to the cranberry apple wine? I don't see any reason why you couldn't add 3 medium oranges to the cranberry apple wine. It would affect the flavor of the wine which could be a good thing. My suggestion is that you try this with a small batch. If you like the resulting wine then keep doing it. If you don't like the result then leave the oranges out of future batches. If you do like the result but want to adjust the amount of orange taste then experiment by adding more or less orange to them and when finished experimenting adjust the number of oranges to the amount used in the batch you liked best. chrisgg - thanks for the suggestions. 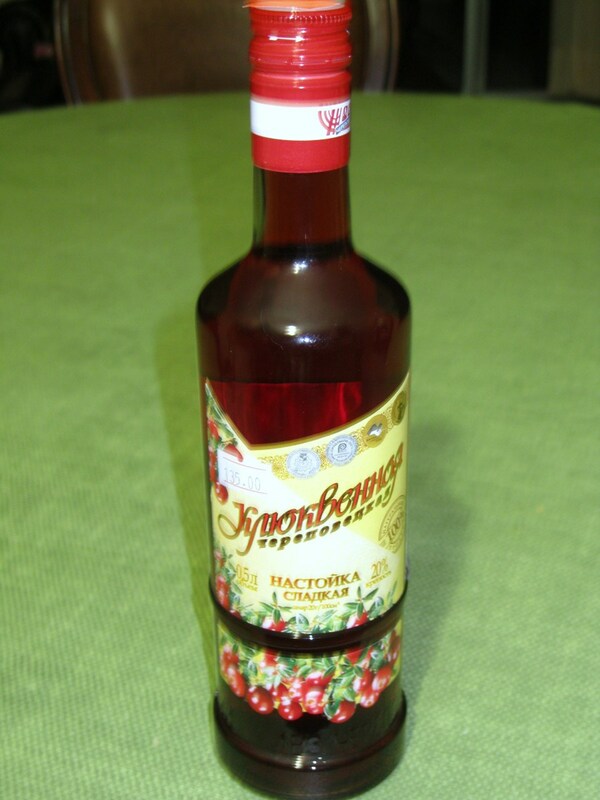 Thanks for your interesting article on cranberry wine. Frozen fresh cranberries are available in my local supermarket in 500g (1.1 lb) quantities. 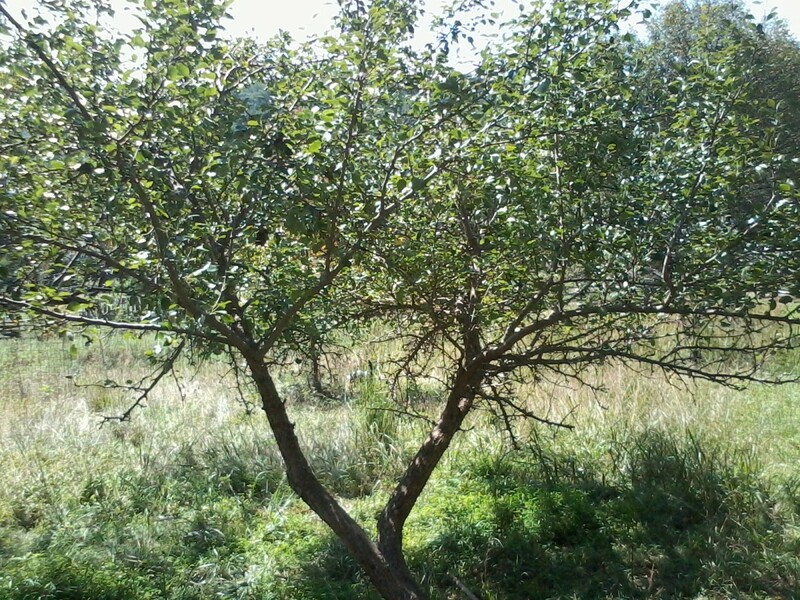 When not picked straight from the bush, I think these are the next best source for homemade wine. I use 1.5kg (3.3lb) for 1 imperial gallon of wine (160 oz = 8 imperial pints or 10 US pints), add 1Kg (2.2lb) sugar and leave overnight to thaw in a fermentation bin. Then add 160oz tap water and mix well the next day so that all the sugar is dissolved. I check the specific gravity (SG) with a hydrometer. I like my wine to be about 12% alcohol which corresponds to about 1.080 SG. If the SG is below 1.080 I add more sugar or if it's above 1.080 I add more water until it is about correct. For freshly picked fruit I prefer the natural wild yeasts to ferment the sugars so I never add sulphites like Camden tablets to kill off the wild yeasts. For shop-bought frozen fruit I may need to add some wild yeast culture I have saved from other wine fermentations, if necessary. I put an air tight lid on the fermentation bin and insert an air lock into a hole in the lid and leave the wine to ferment out completely to dryness for as long as necessary, maybe several weeks. All the whole fruit is present in the fermentation bin to draw out as much colour and flavour as possible. After fermentation is complete (I prefer completely dry wines) I syphon off into a 160oz demijohn (with air lock fitted) and leave to clear and mature in my cool pantry. I check the SG again and calculate the % alcohol present in the wine using the formula: 1.080 (original SG) minus e.g. 0.992 (final SG)= 0.088, divided by 7.36(constant) x 1000 = 11.9%. When I am ready to drink the wine I syphon it from the demijohn into swing-top bottles. No racking is needed in my experience as fermentation is almost complete before syphoning into the demijohn. Because I have a lot of wine demijohns on the go (about 20), it's usually about 2 years before I get round to drinking any particular wine but it could be drunk after a few months if cleared properly. I hope this might be helpful information. Very interesting and thanks for sharing! I have never tried to determine the alcohol content of the wine I have made but it is probably a little less than 11%. Most wines have an alcohol content that averages between 11% and 15%. Since I usually use frozen cranberry juice that does not have as much added sugar as bottled cranberry juice and only used a limited amount of added sugar the cranberry wine in the recipe above is probably around 11% or less. The alcohol is produced by the action of the yeast on the sugar in the mixture so adding more sugar is the main way to increase the alcohol content. However, there is a limit to the amount of increase in alcohol since yeast is a living organism and when the percentage of alcohol passes a certain point the alcohol begins to kill the yeast (remember that alcohol is a disinfectant - the hand sanitizers that we buy and use are mostly alcohol) which stops further fermentation (fermentation stops when all the sugar is fermented or the amount of alcohol produced reaches the point where it kills the yeast - whichever comes first). I'm wondering what the alcohol % is? jackie frost - I did some quick research and it appears that stevia cannot be used for fermentation. So the shot answer is that no, stevia cannot be used as a sugar substitute in making cranberry wine. It can, however, be added after fermentation to make the wine sweeter tasting. Great hub. 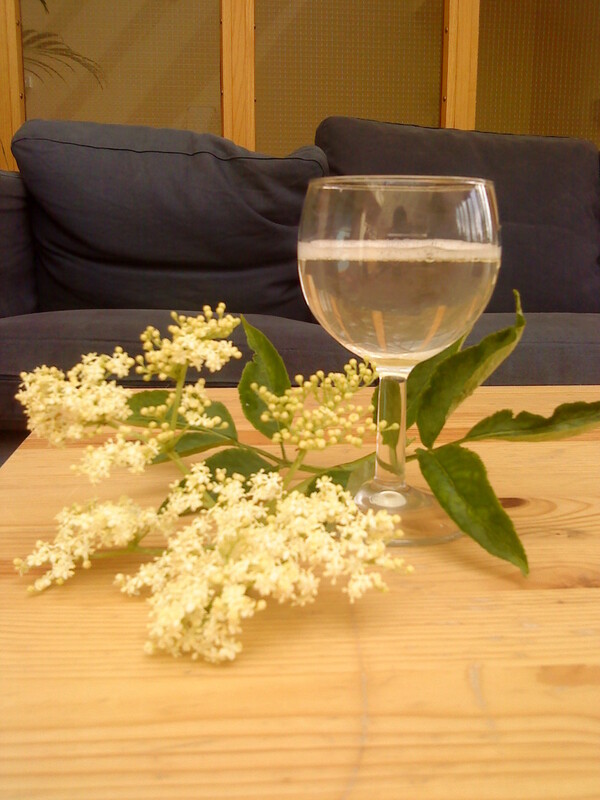 I think I'll definitely have to experiment and make my own wine with a great infusion. I personally like to use fresh fruit when Im making my wine.Thanks . Wow, but how about drinking it than making it .. lol. drinking is always much fun than making it , but yes thanks for the share and i will put it to test when i get along with my friends. Bookmarked ! My first try at a cab was a disaster (I think I ended up with some cleaning solution/acid in my batch). Since that first attempt, I have found that it is both a science, and an art! My second batch was a success, and a good one if I don't say so myself. I did find a website that helped a ton though (broke down and paid, but well worth it) at www.how-to-make-wine.com I am sure there are others too. Cheers! MMM... I think I'll try it, but with watermellon. Wow, another really cool article Chuck. Once again thanks for such an informative article. Thanks for sharing. I will put this to the test. Very nice tutorial. I like it. Make Wine At Home great idea. This is almost grammar school when living in a wine growing region! Wow great hub on how to make wine! amazing article and quality of writing! Thanks so much for this wonderful post this is the kind of thing that keeps me on track throughout my day. Great hub! Thanks for sharing! Hello! What a great Hub It is interesting. Thank for sharing and for the tips. Have always wanted to try making wine at home but never quite got around to it. Your hub makes it look very easy :) let's see, maybe this time around I will put it together! Nice hub. I've experimented with this a little and have always enjoyed it. I can't seem to get one that I really like though, might be time to learn from someone with a little more experience. I can see how this could easily become a fun hobby! Great Hub. Making wine is truly a labor of love for many. Great hub! If only I could wait the 6 to 12 months required. Wine doesn't sit on the shelf that long in our household. I personally like to use fresh fruit when Im making my wine. Do you have any tips about the best way to go about this? Wow, I didn't even know that this was possible. Thanks for sharing! Very interesting! I remember growing up, my mom used to make rice wine. Thank you for sharing! Wine making at home seems like it is a real science. I would think that after putting in all the effort needed to make a good bottle, nothing would be more pleasing to share it with others as a gift. Nice hub. Making wine always sounds so simple.. I will give it a try but I am betting it gets way more complicated once you get started. Have you or anybody out there got a recipe for white cabbage wine? this is very interesting.I will try it out with my friends some day. It sounds interesting, but I think I'll just stick with buying my wine at Trader Joe's. Not too expensive, but still better than what I would end up making. For those of you who can make it yourself and do a good job, more power to you! I sure gonna try this one out. Roberto Galea - I don't know what caused the smell as I have never tried to use apples to make wine. I suggest you try to find a recipe for hard cider and try that. With the price of wine being so cheap these days, I've taken my eye off the ball and stop making it. This has motivated me to continue. I used to have an old wine making book, published in the UK, that had recipes for making wine out of almost every fruit and vegetable imaginable-- including turnips and 'coltsfoot'. 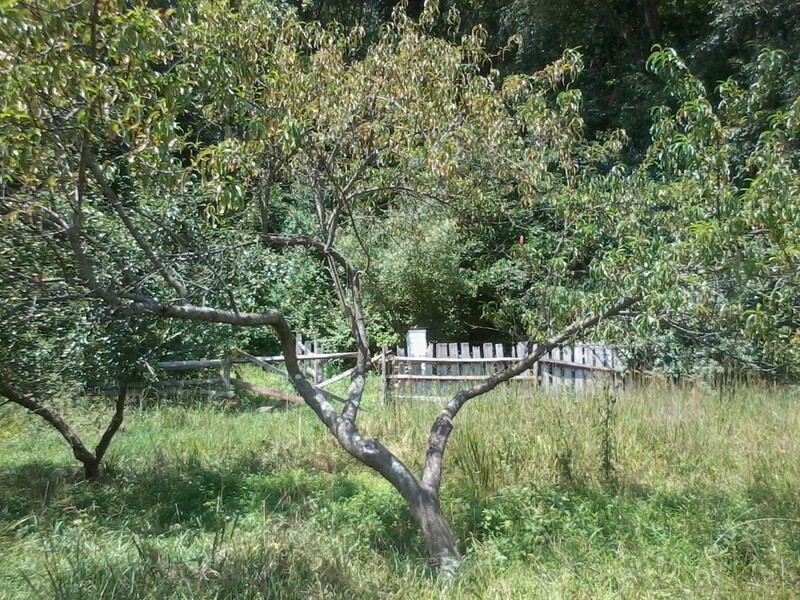 I once made a batch of peach wine, which --though cloudy-- tasted wonderful. It was even a bit fizzy or sparkly, perhaps due to my inexact following of the directions. Juliet Christie - thanks for visiting and for sharing the link to your article with some excellent information (I checked it out and I recommend it). Janet - thank you for visiting my Hub. When I have made the cranberry wine, using cranberry juice, described in this article or grape wine using frozen grape juice I have always used wine yeast purchased from a wine making shop. I was told by others when i started making wine that I shouldn't use bread yeast but was never told why. I tried doing some research just now to answer your question but couldn't find any clear answer. Both wine yeast and bread yeast are living organisms and it is possible that some varieties are better for making wine than others and have been bred for that pupose and both convert sugar to alcohol and give off carbon dixoide in the process. There may be some effect on the taste of the wine but I think that you can successfully make wine using bread yeast. One more point, when making wine using fresh grapes you don't need to add yeast as yeast is found naturally on the grape skins. SEO Expert Kerala - yes, making wine at home for personal consumption is legal in most areas of the U.S. The repeal of Prohibition in the 1930s did allow states and areas within states the option of passing their own laws regulating the production, distribution, sale and consumption of alcohol so there may be some counties or other areas within a few states where this is illegal but, for the most part it is legal for people to make their own beer and wine. Distilled spirits (whisky, brandy, vodka, etc) are another matter and I believe that it is illegal to make these products without a license. RACM, thanks for visiting my Hub and for your comment. As to advice on avoiding headaches, my suggestion is moderation. Bottoms up! This Hub just became my favorite Hub. I am not a heavy drinker, actually I drink on rare occations. And does occations are when they bring me a good bottle of wine (for free) so as you can see, I dont drink that much. I do have a request for you. How can I avoid getting the bad headache without sacrificing the enjoyment of drinking my wine? Very nice Hub... great information. I did not realize that wine making was so easy. Oops! My mistake and I made the same mistake in two sentences in that paragraph. But both have now been corrected. Phil, thanks for catching this. In the next to last paragraph, you wrote &quot;the 'sentiment' can be poured down the drain&quot;. I believe you meant to write &quot;sediment&quot;? Was this a Freudian Slip? Cool information on winemaking ... I think I will give it a try! Agreed - you can use any juice, not just cranberry juice. Since pineapple juice is usually sweeter you may want to reduce the amount of sugar you add but you will need some sugar and may want to experiment some to get the right level of sweetness. As to blending, that sounds interesting and can either be done at the beginning and let them ferment together or blend them after fermentation. Again, you may have to experiment until you get the desired taste. This is really cool to learn that you can make wine from cranberry juice. I'm now wondering if you can do the same thing with pineapple juice. Hawaii has a pineapple wine that they are famous for. Do you think you can substitute the cranberry for pineapple juice to make wine out of that instead? It'll also be pretty cool if you can blend the two wines (pineapple + cranberry) to make something like a BayBreeze wine cocktail. It's a great tasting & popular cocktail. I like the idea of cran-wine. 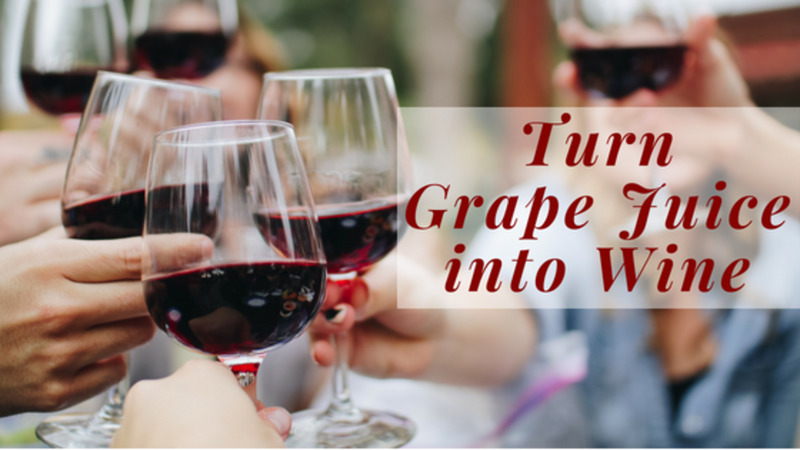 Here are some more resources for grape based wine. oh that great.... but can be also a calamansi can a wine? I've always been afraid to try making wine because my father used to make it and it was terrible. You've inspired me to give it a try again sometime. TexasLady - I don't see why you can't simply boil them. The idea is to prevent bacteria from getting into the mixture and spoiling the wine. Good luck with your winemaking. Could one just boil the needed utensils? The only dishwasher we have is ME, and I'm anything but sterile, with four kids. Maybe you put too much sugar in it in the first place. Don't put ANY sugar. I made a batch of wine (7 gallons). The darn stuff has quit working and is too sweet. Can I just add a bit more yeast and wait for the sugar to go away? Sweet, like some kid needing a sugar fix from 8 cups of sugar in Kool Aid.